← Friday Sinema: I’d Fly! 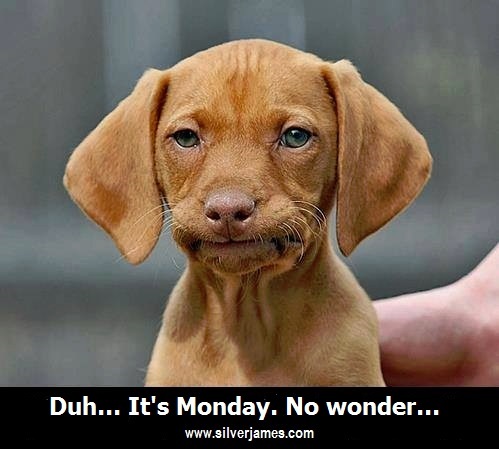 I so often work on weekends that Monday really shouldn’t make a difference. Still, when I look at my calendar and the Sunday is over, there’s Monday staring me in the face. A new week. Full of possibilities. Or not. Reading. Not doing a lot of it either. My eyes are giving me trouble so I’m doing a re-listen to JD Robb’s In Death series. These books are in my list of Top Five Favorite Series and Roarke is probably #1 on my Book Boyfriend list. My name finally moved up the library wait list so I’m reading Katee Roberts’ AN INDECENT PROPOSAL (The O’Malley’s Book 3). I’m enjoying it, mostly. It’s a little slower pace than the first two books. I’m halfway through so I’m hoping it picks up steam. My next read will be our very own B.E. Sanderson’s NATURAL CAUSES. This is the second book in her Dennis Haggerty mystery series. Yay! I’m going to read it “free” on Kindle Unlimited and then I’ll buy it to go on my Keepers Shelf. Y’all need to read B.E.’s books if you haven’t. Like me, she’s sort of cross-genre. I love her Wish series. I mean, Djinn! What’s not to love? And her mysteries are anything but cozy. Right up my alley. TV. We (ie. Lawyer Guy) figured out why the “surround sound” was messed up on the Blu-ray. We got lots of sound, no dialogue. As a result, we have a stack of DVDs we haven’t watched. Last night, we caught up with “Fantastic Beasts.” Enjoyed the heck out of it. I’m still stuck on “Nightwatch” and “Live PD.” LG and I make a “date” to watch LPD on Friday and Saturday nights. Unless the Cards are playing the night game and it’s televised. Then we tape it and watch separately. We’re so easily entertained. 😆 Not watching much of anything else. By nightfall, I’m resting my eyes and listening to audio books. It’s baseball season. ‘Nuff said. OSU Cowboys are hanging in and fingers crossed they make it to Omaha. OU Softball will likely make it to OKC. Hoping the Cowgirls get a late season surge and at least make it to regionals. That’s pretty much my life. I’m waiting on response on the proposal for RDR#8 – Tucker, and still trying to figure out RDR#9. I’m not not getting in brilliant light bulbs. I got some new words down for NIGHT FIRE. Took me half a day to shuffle some of the scenes I’d already written. The story line is starting to fall into order now. I’ll have to shift gears and get to work on Tucker’s story as soon as I get the go ahead. That deadline is looming but I think we’re going to shift it a little, which is good. I need some breathing room. I’ve about hit burn-out stage. No fun. Ah well. So, what about y’all? What’s up in your corner of the world? This entry was posted in Writing Life and tagged books, follow up, lolpic, Monday, movies, Nightriders MC, reading, Red Dirt Royalty, sports, stuff, TV, writing. Bookmark the permalink. Thank you! I really appreciate the shout-out for Natural Causes, and for all my books. I really hope you enjoy NC, too. I did a fair bit of reading after I got NC out into the world. Got thru a cute ebook mystery and then read Allison Brennan’s latest paperback. Also did some fishing. Other than that, vegetation in front of the TV. Golf and baseball mostly, watched while reading. Today I really need to do some marketing – which I started already and I’m already tired. Marketing is exhausting. Then I need to get back to Wish Hits the Fan, so it’s ready for the editor by the end of May. Big fan of your books, B.E.! I’m starting it today…well, tonight probably. Stuffs to do today that precludes reading. 😦 And daylight is burning. 😆 Here’s to lots of sales for you!